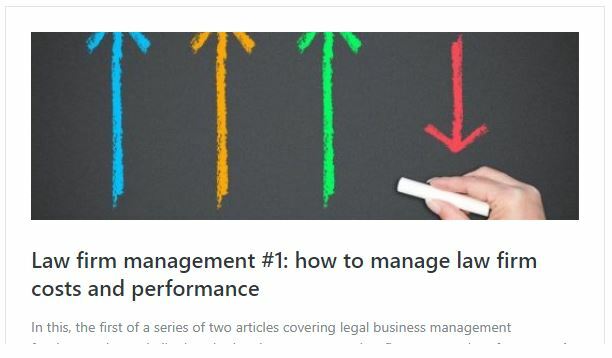 Doubtless you will have come across consultants and accountants offering new ideas on how to make your law firm more profitable. There is no silver bullet, just solid business planning combined with excellent marketing and service delivery. 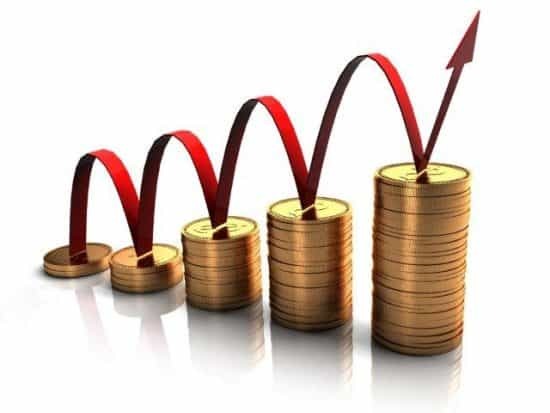 In my first article on this subject, I looked at managing costs and fee earner performance. Now I shall focus upon business strategy and marketing. Your firm probably has some form of business strategy document. Is it just a wish list? Do you ever act upon what it states? If you were a new business looking for finance, would your business strategy and plan be accepted by financiers? These are tough questions but they are valid ones to pose. 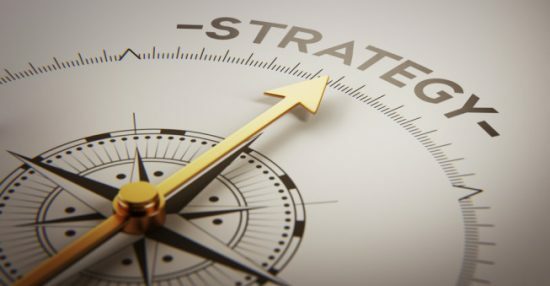 If your business strategy is unclear, imprecise or non-existent, you will have great difficulty in deciding what action to take to improve profitability. Where do I want to take my business? – The destination. Where are we right now? – The starting point. How will we get there? – The journey. How will I know if I’m succeeding? – The checkpoints. Split this into two halves. A Vision Statement that defines where you want to be after a specified time. Add to this a Mission statement that indicates how you will get there. Keep them relatively short and avoid wishy-washy platitudes. They should be clear and readily understandable. This will permit you to communicate them effectively to all staff and stakeholders. By way of example, take a look at LawWare’s vision, mission and values here. The values that should go into your strategic plan are not the usual, sickly sweet values you’ll see in corporate marketing videos aimed at customers. Instead they need to be a frank self-assessment of how you want your organisation to behave as it goes about delivering its vision and mission. Ideally, they should reflect the values of your very best people, and the values that have helped you to succeed the most in your journey to date. A strategic plan is nothing without a set of clearly defined outcomes. Visions and missions are great starting points. However, no-one will take your plan seriously unless you can indicate clearly what steps you are going to take to get there as well as what success looks like for each of those steps. A clearly defined example would be along the lines of: “Grow our conveyancing income by 20 percent by 31 December 2019“. Outcomes not being delivered because no-one knew who was in charge. Conflicting interpretations of what the business should be working on. Increased ‘finger pointing’ and hearsay when things don’t go to plan. No-one taking any satisfaction or pride in the outcomes delivered by their team. Ideally, the people responsible for a particular segment of your plan should also have been critical contributors to the plan itself. That’s the best way to drive engagement and to self-enforce accountability. Don’t let setting KPIs become harder than it needs to be. You don’t need more than one or two KPIs for each of your focus areas. But you do need to ensure that your KPIs reflect accurately what success looks like for that focus area. You’ll also need to be able to measure accurately the KPI on a regular basis. Selecting the right KPIs is therefore one of the key elements of a strategic plan. Deep understanding of current market trends and changes in competitiveness, as well as of the firm’s current position within the market. Selection of a future market position that is real and recognisable. Identification of core client types and core practice areas consistent with desired market position. An effective strategy is one that enables a firm to compete more effectively for its target work with its target clients. Defining “target work” and “target clients” is critical. Too many firms have fudged this. Firms cannot be all things to all people. Focusing on selected client types and practice areas allows a firm to develop clear, competitive advantages. This research enables a firm to identify what it will need to compete more effectively in the future and what it will have to do to achieve a better level of competitiveness. Clear goals, targets, and actions can be established to push the firm toward its desired market position. It’s the lack of clarity that many firms have about these elements that turns their plans into wish lists and statements of intent. It’s why many of the actions they set out concern non-strategic issues disconnected from enhancing competitiveness. Achieving this clarity is tough – it requires facts, analysis and interpretation. Firms that lack effective strategies are likely to suffer at the hands of more competitive firms over the next few years. All partners should market. Full stop. Many years ago, whilst working with a medium-sized law firm, a partner asked me a question: “If I don’t have a decent entertainment budget, what can I do?” “Plenty” was my reply. Marketing and building client relationships is more about spending time than about long liquid lunches. It is time for partners to go back to basics. The starting point is identification of the core clients of the firm in each of its practice areas. If a firm is to strengthen its relationship with its core clients, it has to start with a realistic picture of the relationship as it stands today. Does the firm really understand the nature of its relationship with the core client? Is the relationship with the firm or with an individual partner? Does the client see the firm as its legal adviser or as the provider of a specific service or services? The client’s picture of the firm determines the firm’s ability to market other services to the client. A client who sees the firm as a narrow specialist will not seriously consider the firm’s cross-selling efforts. Therefore, after the firm does its initial fact-finding about the client, an objective interview with the client should be conducted. Ideally, this should be carried out by someone outside the firm, or at least outside the relationship. The result of the internal fact-gathering and the client interview will allow development of a core client plan. This plan will contain a clear objective to be achieved at the end of a specific period of time, together with a series of actions directed at achieving the objective. In some cases, it will be clear that the client is open to cross-selling. For others, it will be necessary to shift the client’s perception of the firm and its capabilities before any real marketing can be done. In some cases, the appropriate initial actions will be to widen the relationship beyond one person. In others, it will be to make an existing team function more like a team than an ill-directed group of individuals. All marketing, whether strategic or low-level, should be guided by the overall business strategy. The UK’s Law Societies provide periodic training courses on law firm funding and management. Check out availability here for England & Wales and here for Scotland.